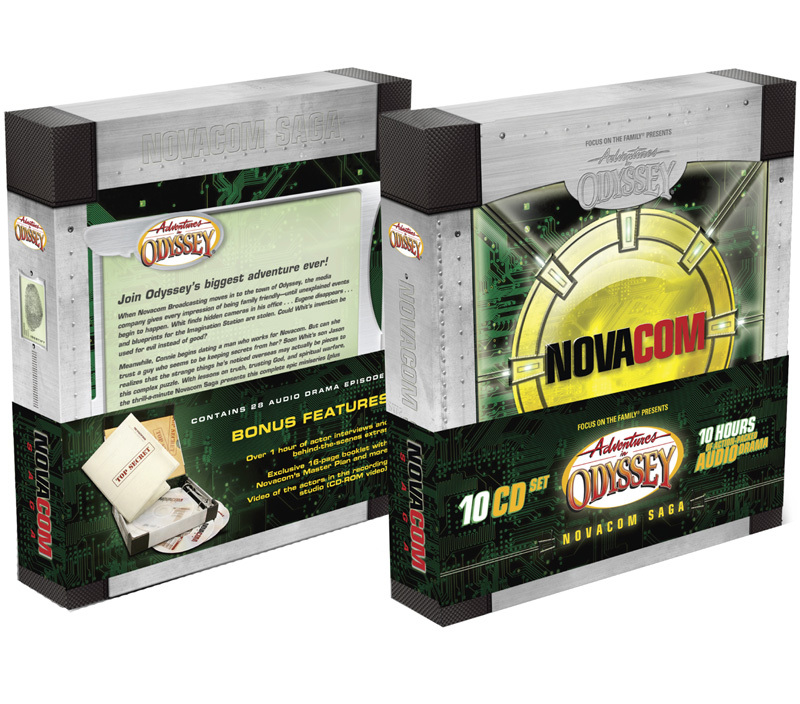 Join Odyssey's biggest adventure ever! When Novacom Broadcasting moves in to the town of Odyssey, the media company gives every impression of being family friendly - until unexplained events begin to happen. Whit finds hidden cameras in his office... Eugene disappears... and blueprints for the Imagination Station are stolen. Could Whit's invention be used for evil instead of good? Meanwhile, Connie begins dating a man who works for Novacom. But can she trust a guy who seems to be keeping secrets from her? Soon Whit's son Jason realizes that the strange things he's noticed overseas may actually be pieces to this complex puzzle. With lessons on truth, trusting God, and spiritual warefare, the trill-a-minute Novacom Saga presents this complete epic miniseries (plus new bonus features!) in one action-packed set. It seems like it just got started but is the grand opening party about to end? Who, What, Where, When and ... Why? It looks like ARAM. Something's up at Whit's End in Connellsville! There's an awful lot of whispering going on. And it seems like it's all coming to a head. Connie is wondering about Mitch. What does he have to hide? - Is this any way to start a relationship? What are all the secrets about? Mysterious e-mails, confusing details and missing people! Everything is changing fast. When the clues lead Whit and Connie to: A funeral and a wedding! The plot thickens for everyone involved and when all else fails - it's time to go to Plan B! The bad guys are getting serious. The secrecy around Andromeda and the search for Eugene and Katrina continues. In a series of interactions with several people we begin to piece together some of the strange things that have been happening lately. The mysterious Mr. Charles is doing what he can by whatever means necessary. Car chases, espionage, and confusion. But not to worry - the good are fighting back! Hear what Whit has planned to counteract the attacks. What's going on in Odyssey? Things are changing fast. 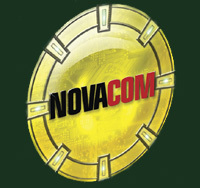 Who will have control after Novacom carries out its next plan? There are lots of questions. And there's lots of resistance! Through all the twists and the turns - who has the answers? What's up with Aubrey? Is the new crowd turning her life upside-down? Aubrey is faced with all kinds of choices. Aubrey's friend is taking her to a new place in life and everybody is wondering if Aubrey will ever be the same again. Things are out of control! What does a Sundae without nuts, a scary movie, rabies and appliance problems have in common? Nobody knows. And when they try to find out it seems to all get worse. Somebody has something to hide! This just in: Erica's father is having trouble keeping his boss happy. Everything he's worked for is on the line. 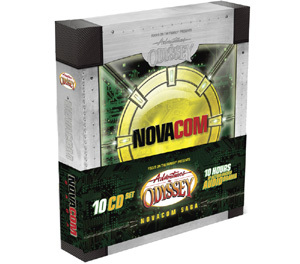 What is it that Nova Com wants so badly that can cause an occupational pressure cooker? Will Erica step in to try to save her father's job? Is she putting herself and Aubrey at risk? Monica is in Alaska with Jason, trying to find a package Eugene sent him. What's in it? It contains a disk that has information that people get very excited about. Monica seems very interested in Jason but is she interested in the man, or does she just want the package that makes everyone act funny? It's a virtual miracle, a breakthrough product? 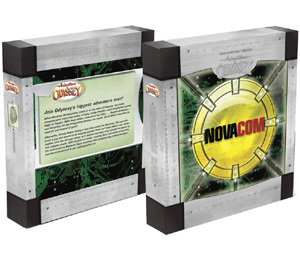 Novacom is at it again. It's revolutionary. But what does it all mean? Is it educational? Or is it another Novacom scheme. One things for sure ... it will change peoples lives. Cool heads prevail! Even when there's an unraveling! You'll find out how the furious pace that Novacom unleashes affects our friends in Odyssey. Circumstances are getting interesting. With only 3 more episodes left for this season, the battle lines are being drawn. Novacom is showing its true colors and there are some who are figuring it all out. 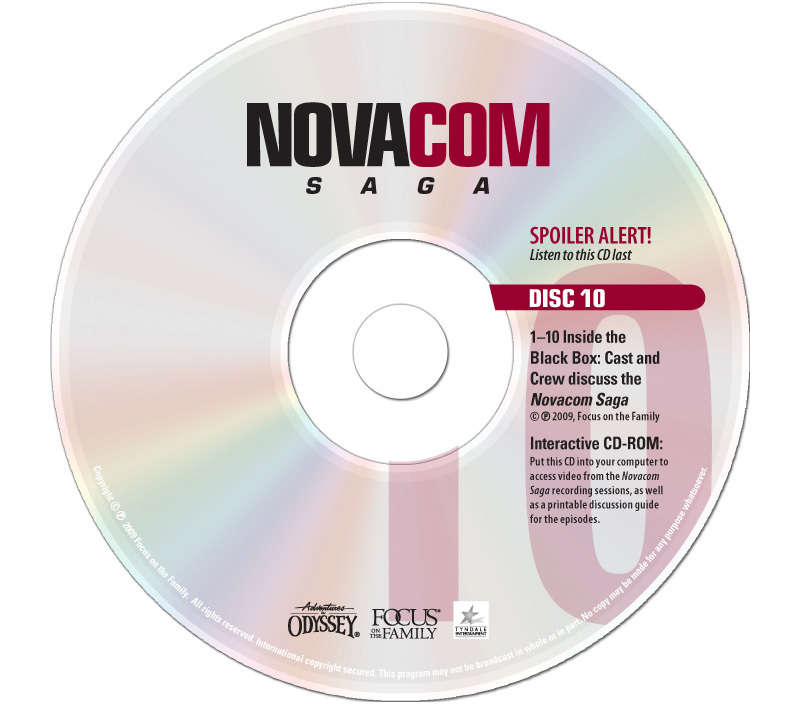 You found information about what was happening with the continuing saga involving Novacom. You were hoping for the best. Expect ... the worst ...! It's the one before the season finale! Can it be? Last time we expected the worst, the time before there were exceptional circumstances, and before that it all started to unravel. This time things go exactly as planned. But whose plans are precise? Is this the calm before the storm? There isn't much time left! Start the countdown. As the minutes tick away - there's a plan. But will the plan backfire? Connie's in trouble and every second counts. Is this the beginning or the end? - Don't miss the exciting conclusion of the Novacom saga!